With so many tools out there, how do you know which one is the best one to use? I’m probably bias but there’s a good reason I love WP. In fact, I first started my journey using Joomla. That’s right. And I remember during that time, I setup one WordPress website as a blog. It was very foreign to me then. Yes, I understand there are script installers, but WordPress is really the fastest to setup. It even boasts a 5min install but in reality it takes even less than that! And if you are installing manually, the same is true. It has a guided installation process. Still having trouble installing WP? There’s a huge community available just waiting for your questions. You’ll never be alone while using WordPress. It’s really easy to create beautiful websites with WordPress. So stunning in fact that it feels like you are cheating! With a huge range of premium themes out there, there’s surely something for everyone. Some of the big theme providers include Theme Forest and Woo Themes. I prefer Genesis. And here’s why. While WordPress was typically a blogging platform, page builders like Beaver Builder make it possible to design great layouts for inner pages. One thing that frustrated me when using Joomla and Drupal were the licensing on plugins. This meant to get the simplest of functionality, you would pay a small fortune. WordPress has its own repository at wordpress.org of free plugins. And with over tens of thousands of plugins available, it’s easy to find something you’ll need. Want more power? Most of these plugins have paid upgrade paths. Again, while WP was originally meant as a blogging tool; it has evolved in the past 10 years. With cool plugins like Woocommerce and Easy Digital Downloads, you can effortlessly turn your website into an ecommerce system. Or what about tools like Restrict Content Pro and Paid Memberships Pro? You can just as easily make a membership site out of it. And much more even. Just find the right plugins. Just to square things off, here is a hand infographic with a couple on bonus reasons for WP. 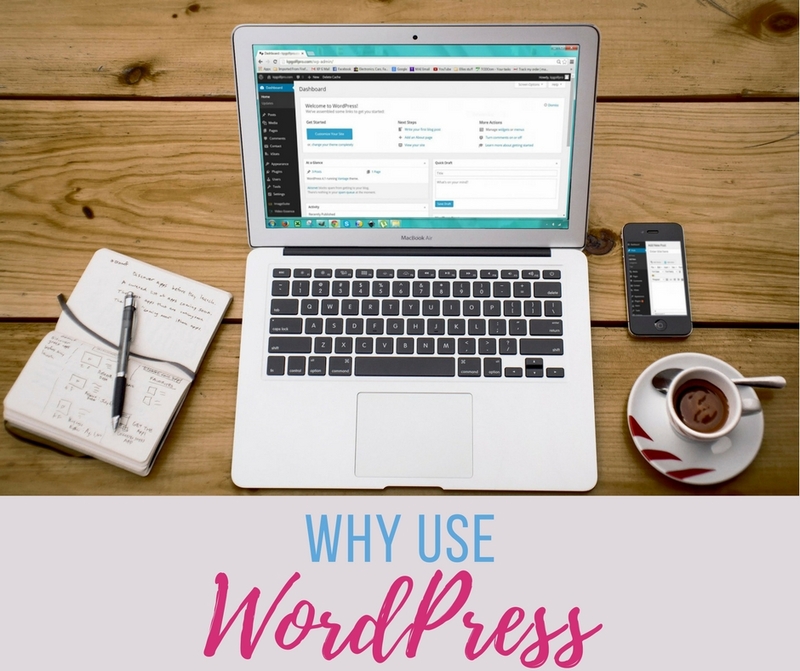 So, I think I’ve made my case clear now on why I love WordPress. Maybe you disagree but just remember how much this system has changed within the past 10 years. And if you need help setting up your website, check out my mini-class on how to quickly set up a WordPress website.